While it may be too late to appeal a decision in your case, we can help you explore your options for having the conviction expunged from your criminal record. An expungementcan help you limit the damage from your conviction, allowing you to move on with your life. Jim Davis has handled numerous expungements. In fact, he is credited for one of the few reported cases in Mississippi where a lower court denied an individual’s expungement and he appealed it to the Mississippi Supreme Court. The Mississippi Court of Appeals agreed with Jim Davis that the lower court erred and the individual’s conviction was expunged. See A.E.W. v. State, 925 So.2d, 136 (Miss. Ct. App. 2006). A person is eligible for only one (1) felony expunction under this section. This window of opportunity may only be opened for a limited time. The sooner you contact us, the sooner we can begin to help you remove your conviction from all public records. 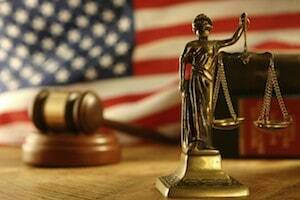 To know whether to file for post-conviction relief in state court, in accordance to Miss. Code Ann. §99-39-1, et. seq., requires an attorney who has a broad range of knowledge in reviewing criminal files and proceedings in order to ascertain if your case warrants filing for post-conviction relief. Grounds for post-conviction relief and time limitations are things that only a knowledgeable, experienced attorney can determine. See Miss. Code Ann. §99-39-5. In federal court a sentence can be reduced if it meets certain criteria. See Rule 35 of the Federal Rules of Criminal Procedure. Attorney Jim Davis has the knowledge and experience to know when to file a federal habeas for relief from a state court conviction, pursuant to 28 U.S.C. §2254, or a federal sentence, pursuant to 28 U.S.C.§2255, plus the time limits on when to file these documents.